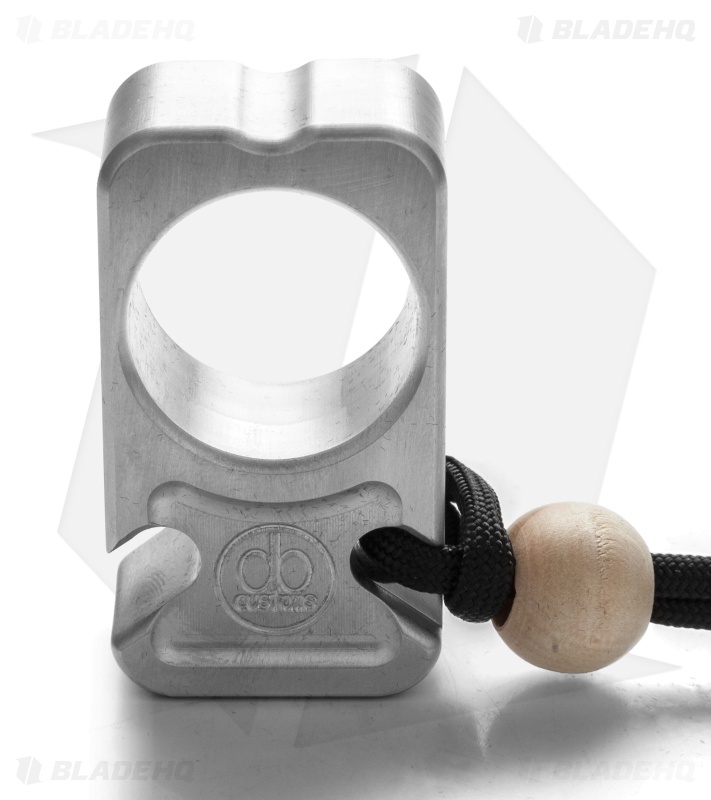 The Solo Crook has a bottle opener cutout, single knuckle design, and a tied paracord lanyard with split ring. This model is made from 3/4" thick, lightweight aluminum. There are many reasons you'd want to get one of DB Customs bottle openers, but regardless of the reason, this keychain makes a bold statement. Wood lanyard bead color may vary from picture.